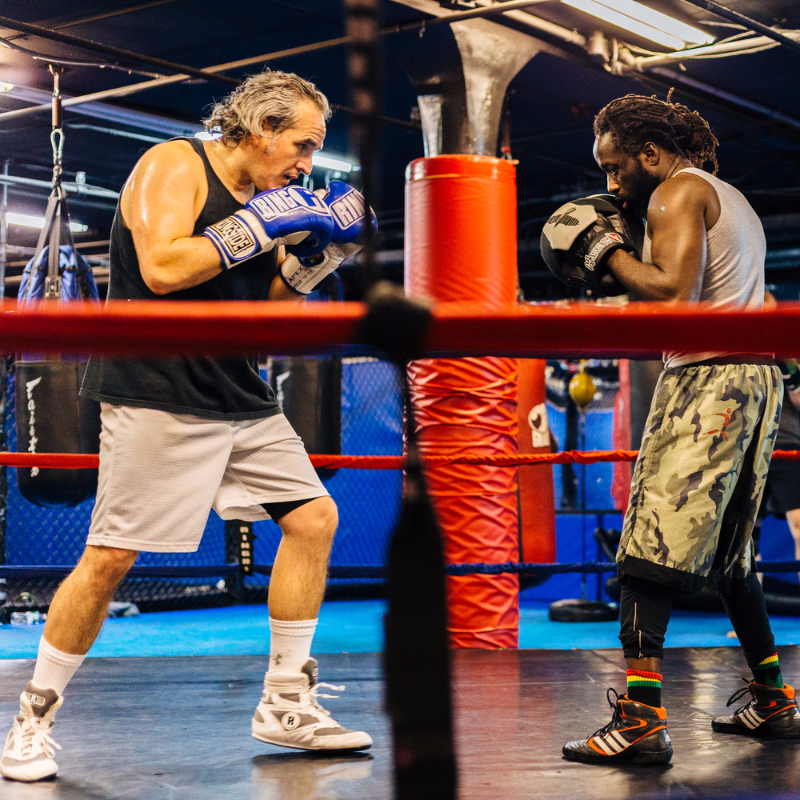 Redline is one of the Best Boxing Gyms in Boston. Level I (L1) boxing classes are open for students of all levels regardless of if you do or do not have previous experience. In our level I classes students will learn basic strikes and movement, conditioning and partner drilling. Level II (L2) classes are intended for students with prior experience or students who qualify as intermediate or advanced according to their coach. In level II students will learn to utilize the skills learned from level one and begin to apply these skills in interactive sparring, advance combinations and drills. Level III (L3) classes are for students who are interested in sparring or competing in boxing. These classes allow students to develop their skills in a ring in an controlled safe environment. The lion zone with Wahset is by far the best boxing class I have ever taken. He does a great job teaching everyone proper technique and every class is something different so it doesn’t get stale. He has created a great community so new members feel welcome and encouraged by the regulars. The Lion Zone class with Wahset is the best start to my day. He knows everyone by name and despite it being a group class, he invests time on each person to teach them proper boxing technique. Wahsets classes are utlizing the popular HIIT training model. They have a great vibe, and they push you to do your absolute best in each class. He has created a great boxing community where his fighters (both men and women) are great support to eachother and it is a fun workout. I’ve worked with Wahset since I was in my teenager years. He has been a fantastic coach through and through. He seriously cares about the fundamentals and essence of boxing and he teaches you a style that works for you. You are guaranteed to not only learn at an incredible pace, but you will be dripping in sweat by the end of your workout. This gym is a hidden gym that has been up and coming for the last few years that has not only boxing, but also brazilian jiu jitsu, kickboxing, MMA, and crossfit courses as well for the adventurous. Wahset is a great boxing instructor, he knows how to push you to your limit while being encouraging. I’ve trained with him for 5 years and loved every minute of it!